Jason Engle’s no stranger to the Demon Hunters world. 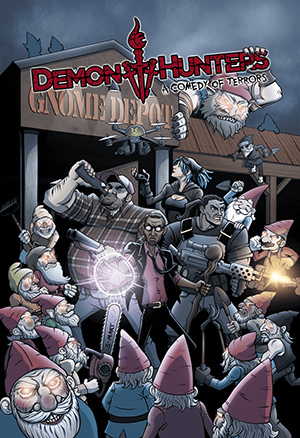 Not only did we hit our goal, and actually get to make the Demon Hunters RPG: A Comedy of Terrors, but we managed to hit our first two stretch goals! That means we get to go in depth with how Magic, Mad Science, and Psychic abilities work in the Demon Hunters universe (something that was seriously lacking in the old game), and provide extra, pre-built examples for playing Supernatural characters. Plus, the whole book will benefit from a higher art budget, and guest art from the likes of Jason Engle, Raven Mimura, and Aaron Acevedo. I’ve gotta be honest, I didn’t think this was going to be possible. Demon Hunters was just a couple movies we made in college and a game that hardly anyone had played. Yeah, we’ve relaunched the world, but the comic is barely off the ground at this point. Maybe in a year or two, after we had a couple story arcs under our belts. 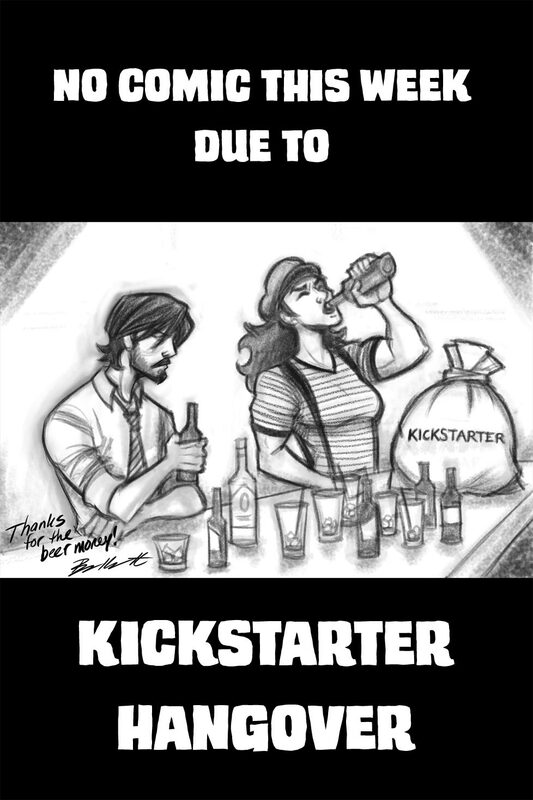 I didn’t think Demon Hunters had the audience to support a $30,000 Kickstarter campaign. Not yet anyway. You people proved me wrong. And then you proved me $10,367 more wrong! I can’t thank you enough for your support, and your interest in this weird little world we’ve created. I can’t wait to get to work on the game! 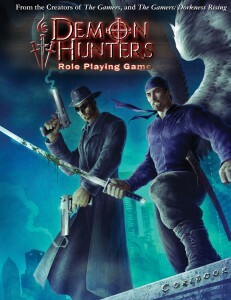 Keep an eye on http://demonhuntersrpg.com/ for updates. It points to the Kickstarter right now, but soon it’ll direct you to a new RPG section of this site. Thank you all again. Demon Hunters fans are amazing (though some of you are quantitatively more amazing than others. Holy crap, Matthew Hunt!)! A pot of Cobblers Crystal coffee and you’ll be fine, but you’re very welcome and can’t wait to try the new RPG out!!! congrats’ all around!! The story is awesome and I have always loved DH! Always looking forward to whatever the team is working obviously! You deserve all the support in the world! Congratulations guys, well deserved. I have loved the DH universe for a while now and knew I couldn’t be the only weirdo out there who did. I had no doubt you’d make your KS goals. Loved the 1st DH game and can’t wait to see what you all do with the reboot. Now rest up, grab a Goddam cup of coffee like Cobbler’s Crystals ™, and enjoy your success! Thanks, guys! You’re all tied for number one best fan. As a longtime DH fan, and supporter of the KS, I can say DAMN RIGHT you were wrong! We wanted DH RPG and now we’re gonna get it! And if we ever meet up at a con, the first round is on me! PolkaNinja, SO taking you up on that! Do polka ninjas shout their “Huh! Hah! Huh!” to a polka melody? PolkaNinja, like true ninja, makes no sound. Investigator, Instigator, Steve Winwood fan. Reluctant member of Rho Seven.